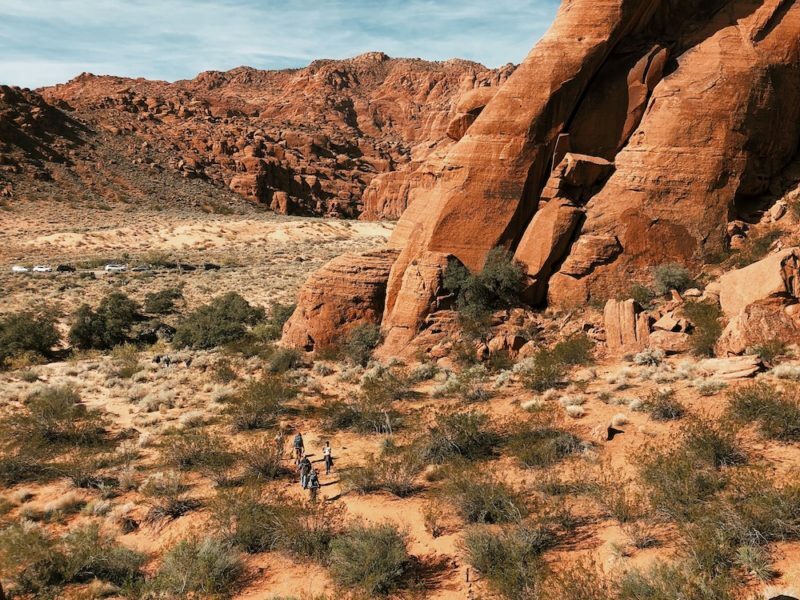 This is a short trail on the side of the road at the south end of Snow Canyon. 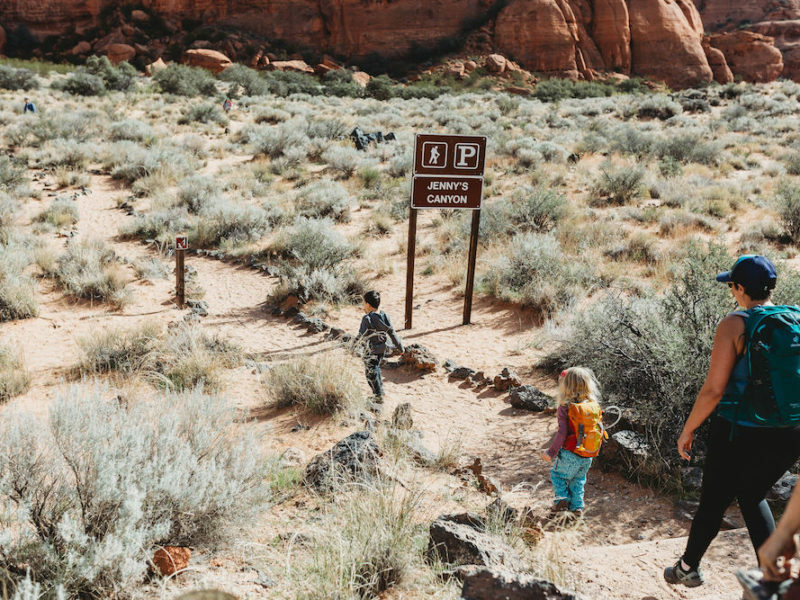 Perfect trail for an early walker with a well marked sand path, no elevation gain and a fun slot canyon that will keep you cool on warm days. 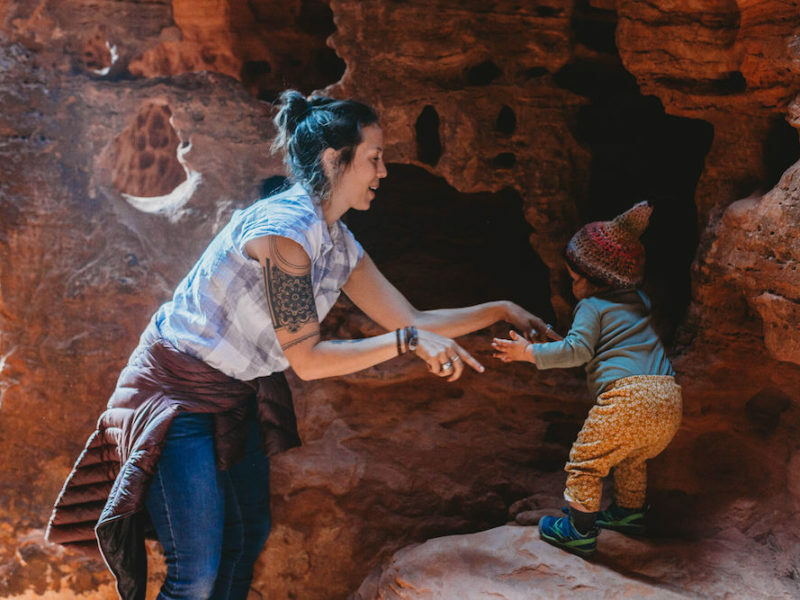 The slot canyon has all kind of fun climbing areas for little kids and pockets in the rocks to hide in. 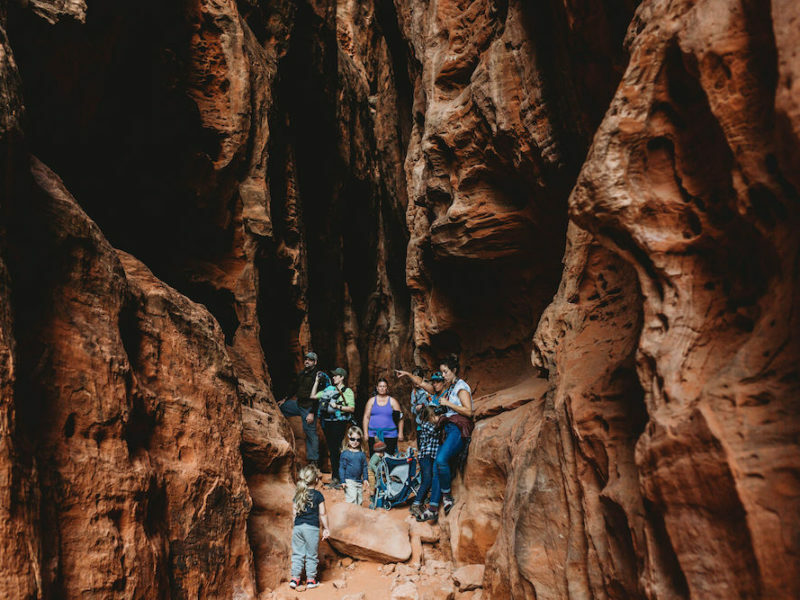 Kids will enjoy the tall walls and how the shade of the slot canyon really is incredibly cool and a blazing hot day. 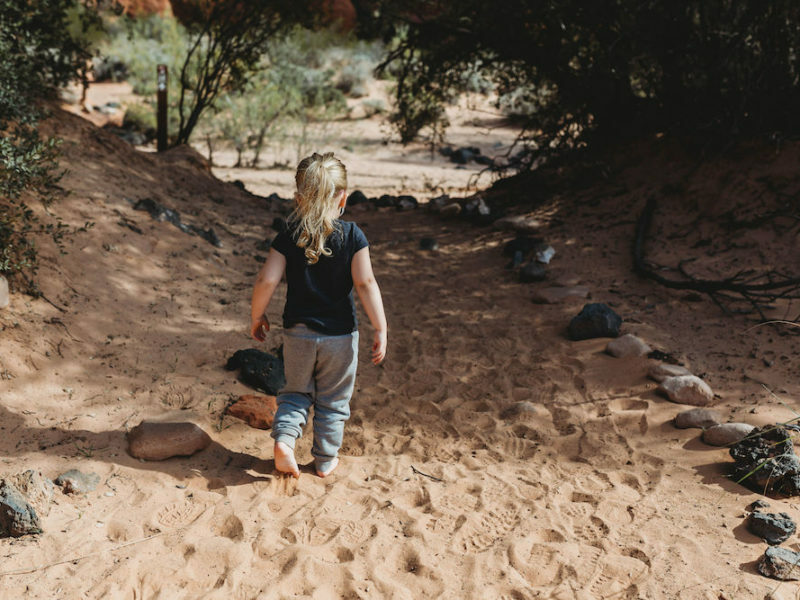 If you have a kid who hates shoes, this is a trail you can let them run barefoot on. It’s sandy the whole way into the slot. Also consider doing this hike on a windy day because you will be protected once you enter into the slot canyon. 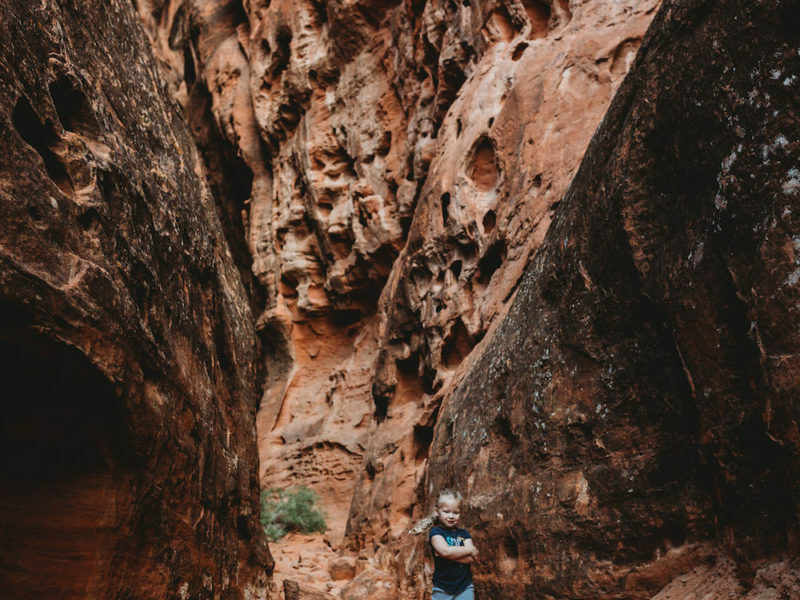 Playing in the crevices inside the slot canyon is one of the best parts of this trail. Look for lizards and tarantulas on this trail. Beautiful cacti line the trail as well. 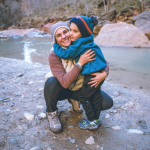 This is excellent slot canyon training for little kids to get them used to the concept of canyons and canyoneering. Very easy for all ages and no elevation gain so grandparents can do this one too. 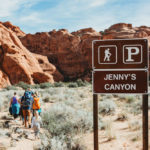 There is a daily pass or a Utah Park pass will get you in for free. There are only a handful of parking spots at this hike so if they are full drive up the road and park on the left at the sand dunes.